Welcome to Steam Trains of British Railways an informative and interesting website for kids and enthusiasts alike, written by a group of steam train enthusiasts, including a former employee of British Railways who began his career on the railways in 1946 as a signalman for Central West Wales which included areas on the Cambrian coast such as Aberystwyth, Machynlleth and Barmouth. We bring to you some of the most unique stories, facts, information, photography and footage about Steam Trains of British Railways from enthusiasts who have closely followed Steam Trains across Great Britain for more than 70 years and would like to share with you their extensive knowledge on the subject. Our intention is to guide you through the development of Steam Trains and Engines of British Railways, by taking you step by step through an interesting and timeline of history and facts, right from the early days when Thomas Savery invented the first steam pump, which was further developed by James Watt whose amazing discoveries allowed various types of manufacturing machinery to be successfully powered, helping man to develop important processes which would contribute greatly towards the Industrial Revolution. 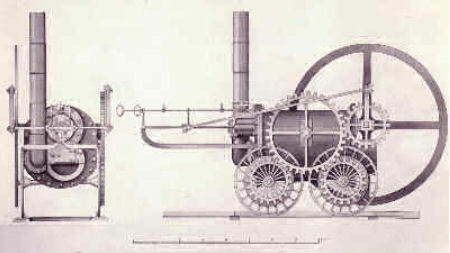 Check out our new facts page on the infamous Stephenson's Rocket. Learn why Robert Stephenson's Rocket was so influential in steam locomotive design, and would become the benchmark for all future designs. Welcome to Steam Trains of British Railways, this website is under constant development for all people interested in British Steam Trains, from kids wanting to learn to the hardened enthusiasts. While this website is still under construction be assured, although we are a small team, that we are hard at work behind the scenes researching material and building new pages. So keep checking our latest news within our Home page for the most recent updates to new pages. Visit our video gallery to watch Steam Trains of British Railways latest video from the Severn Valley Railway Autumn Steam Gala. Capturing the Severn Valley's very own home fleet running alongside visiting locos 70000 Britannia, 46100 Royal Scot and Ivatt Class 2 number 46521. Our Steam Trains and Engines of British Railways facts and information are relative to history timelines which will take you through the early stages and development of steam power and engines. Check out our diagrams and pictures to gain an understanding of the science behind the process and facts about how a steam engine works. Our website provides facts, pictures, footage and videos of Steam Trains and Engines which have been collected by our own enthusiasts for years. Our photography and videos are free to view; however, we maintain full copyright unless otherwise stated. Our picture gallery includes black and white, and colour pictures of British steam locomotives, trains and railways with information and facts about some of the greatest locos which were ever invented and developed. Our video footage, facts and information will teach kids some of the most important steps taken by man throughout history, including who discovered steam power, who invented the first steam train engine and how these awesome discoveries effected the industrial revolution and helped us to expand and develop as a nation. Find out how the invention of Steam Trains and Engines effected the Victorian era, and transportation, trade and tourism throughout Great Britain. Discover facts about different types of Great British Steam Trains and Engines including the earliest locomotives and preserved locos which are still running today. Find out important facts about the history of the railways and how networks were developed across countries, continents and the world. A train can be described as a form of rail transport composing of a series of coaches, otherwise known as carriages, which are linked together to create a train which in turn is moved by a locomotive. A steam train can be defined as a train that is powered by a steam engine. DDiscover important facts about the history of Steam Trains and Engines including who invented the first steam locomotive and how this important development in history would impact the future of the rail industry, not only in Great Britain, but in countries across the world. TThe evolution of the rail network came at a time when Great Britain’s main transport network consisted of horse-drawn carriages and canals. Although this type of transport provided an effective means for the transportation of goods and passengers, the system was slow, cumbersome and underpowered. The new transportation system would link from city to city, and country to country across entire continents! The invention of such a network was a huge step forward in evolution with great advantages, which would change the world as it was then known; bringing nations together by linking industries to places, cities to cities and so on. If you're wondering how it all began then lets go back to the time in question. Bearing in mind that the discovery of steam power had occurred many years before, possibly as far back as two thousand years when the Chinese started to uncover and understand the potential benefits of steam. The discovery of steam power led to the invention of the steam engine; a mechanical heat engine that uses steam as its working fluid. 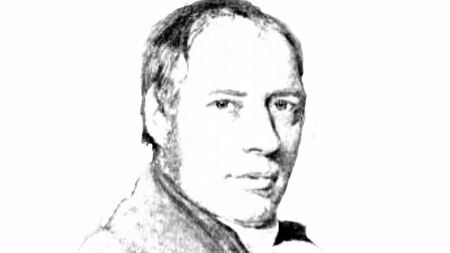 The first steam locomotive was invented and built by Richard Trevithick; an inventor and mining engineer from Cornwall, England. His incredible invention, the first full scale steam locomotive, hulled the first steam powered train over Penydarren Ironworks tramway. This was the first steam train journey and it took place on February 21st, 1804. Penydarren Ironworks is based in Merthyr Tyfil in South Wales. There are many types of Steam Trains and Engines and locomotives across the world, from narrow gauge to broad scale, locos come in all shapes and sizes. The focus point of our Steam Trains and Engines website is mainly British locomotives. We bring to you some of the most unique pictures, film footage, information and facts which are relative to different types of locos and their particulars. Our Steam Trains and Engines specifications include interesting facts such as the engine’s class, loco number series, origin, wheel arrangement, designer, location, the purpose and year it was built. There are many locomotives still running today. These preserved Steam Trains and Engines can be found across the UK in museums and steam preservation railways which preserve and return these magnificent machines to their original condition. Some of these locos are over 100 years old and require skilled maintenance and countless man hours to return them to their former glory and maintain them to an operational condition. Our Steam Train Engine enthusiasts have collected and preserved years of memorabilia from decades of operational British steam locomotion. We have selected some of the most unique photos and footage from past to present, from railways across Great Britain. Our enthusiasts will continue to produce films from preserved railways and mainline steam excursions. We aim to bring you the latest news, events and gala information.